This week's stop is Malibu, CA and our special guide is D.B. Reynolds author of the VAMPIRES IN AMERICA series. Keep reading for a chance to win a Vampires in America book by D.B. Reynolds! 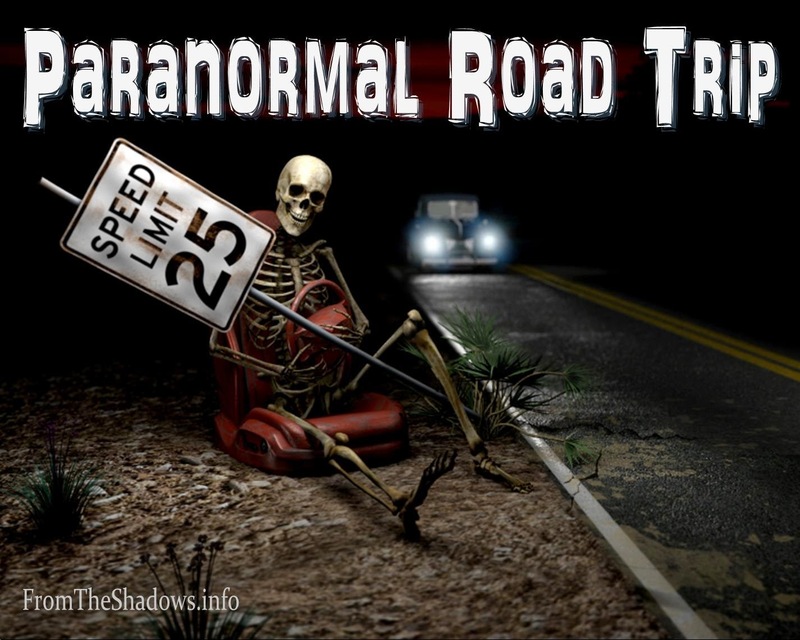 We begin our haunted tour not in Malibu, but in Calabasas, a city passed by Cyn & Raphael and the gang every time they opt to take the freeway back home to Malibu. It also happens to be very close to my own house; it’s where my Starbuck’s is, and my Barnes Noble bookstore, too. But mostly we’re starting there because of Leonis Adobe, considered to be one of the most haunted sites in Los Angeles County. Right in the heart of Calabasas, it’s an historic site surrounded by hotels and restaurants, with a few longhorn cattle lazing in a dusty corral. The adobe was home to Miguel Leonis, who was a very successful and ruthless sheep baron in the mid 1800’s. Miguel died after imbibing a bit too generously—he felt off his wagon (no pun intended) and was crushed when it rolled over him. He is one of two ghosts who have been reported at the site, with the sound of boots dropping to floor in his upstairs bedroom, and a strong soap scent. Apparently Miguel was a clean fellow. The more interesting ghost, however, is that of Miguel’s common law wife, Espiritu Chujilla. Espiritu owned half of what would become the Leonis Adobe ranch. Miguel wanted the property for himself, so he bought half and “married” Espiritu in order to acquire her share. Unfortunately when Miguel died, his will failed to acknowledge their marriage. He left only $10,000 (some say it was far less than that) to his “faithful housekeeper” Espiritu, and the rest to his siblings. Espiritu challenged the will—you go, girl!—and after a protracted and widely publicized court battle, she won half of the estate, then valued at $1 million, and this was in 1889! She lived in the house until her death, and there are many reported incidents of her haunting the house, ranging from passersby seeing her in a long, black dress on the balcony, to a friend of mine who attended a séance at the house, during which Espiritu spoke to her personally. Hopping on the 101 freeway, we take a detour to the north, in order to visit what was once Camarillo State Mental Hospital. Build in 1936, it housed thousands of patients, including children, and rumor says they endured shock treatment along with many other inhumane practices. The hospital closed in 1997, and is now part of a California State University campus, but witnesses tell all sorts of creepy stories, about moving objects, voices, windows slamming and strange knocking. It’s worth noting that former residents routinely referred to the hospital as “Hotel California” long before the Eagles’ hit song. And I can attest personally that if you listen on a very quiet day, you can still hear the screams of the patients. But we’re heading for Malibu, so it’s back to the 101 freeway, moving south this time, so we can drop down to the Malibu coast. We stop briefly at the intersection of Las Virgenes and the 101 Freeway, which is the entrance to Malibu Canyon from the San Fernando Valley. This area is haunted by a man who was killed by a drunken driver, and by the driver himself who is said to have committed suicide over the event. If you catch the light just right, the accident replays, forcing drivers to swerve to miss a phantom white car. Finally, we hit the beach and Malibu Creek State Park which is home to what everyone agrees is the very haunted Hunt House. Park rangers who live next door have reported hearing music on weekends, and feeling an eerie presence. It’s one of several structures standing in the park, including the other, even more haunted location, Blandings House. This house serves as a headquarters for park rangers, and they report regular levels of activity, including footsteps when no one is around, unexplained voices, scents of coffee and cigars, and lights that inexplicably turn on and off. And these are park rangers, guys—not dope smoking hippies! Continuing north, we end our tour at the one-time home of yours truly. These condos, sitting on the sands of Malibu beach, were once home to the very vampire who inspired Vampires in America. There’s the balcony where I used to sit in the moonlight and dream of powerful and beautiful paranormal creatures. The balcony where one night, my tall, dark and handsome next door neighbor—never seen in daylight—emerged to tell me in his midnight voice all about vampires, while the silver of his eyes reflected the shifting mercury of the moonlit ocean. I started writing furiously . . . and never saw him again. Thank you D.B. for giving us such a haunting tour of Malibu! To learn more about D.B. Reynolds and her books, please visit her website. You can add the Vampires in America series here on Goodreads. 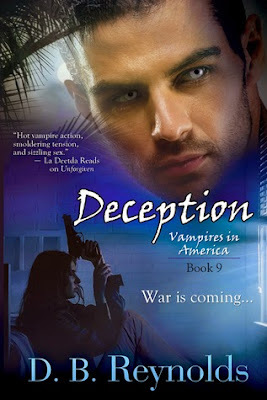 We are giving away winner's choice of ebook from the Vampires in America series by D.B. Reynolds. To enter, please leave a comment on this blog post and include your email address so that we may contact you if you win. This giveaway is INTERNATIONAL. Giveaway ends June 30, 2015. What did you think of D.B. 's picks for spooky places? Last week on Paranormal Road Trip we visited Clifton Heights, NY with Kevin Lucia. Next week we'll be traveling to London with Pippa DaCosta. I love ghost stories so I really enjoyed this post. I live about 45 minutes from New Orleans, one of the most haunted cities. I'll be visiting New Orleans for Author Reader Con July 30-August 1st, and a bunch of us are doing a ghost tour in the French Quarter July 29th and a cemetery walking tour August 2nd. I can't wait. Camarillo State Hospital, the place "One Flew over the Cuckoos Nest" was based on. There's definitely something creepy about old hospitals! A great article! I loved the Vampire Condo and the reference to the start of the Vampires in America series! I agree! I love learning more about the background of a series. In my part of the world, there's a haunted attraction featured in one of the old asylums. It's freaky as. Loved hearing about the ghosts/hauntings and so close to home as I live near the beach and the 101 freeway. I also loved hearing how the Vampire series got its start. You rock D.b.!! I love ghost stories, the spookier the better. I found it interesting as I lived in So. Cali for close to 25 years and I did not know about this. These sound like great places to visit but sadly I live to far away. But distance does not keep me from enjoying the ViA series. Can't wait until the next book. Glad you enjoyed our road trip to Malibu, Letitia. Thanks for stopping by! The giveaway portion of this Paranormal Road Trip is now over.